Get this as part of my Cooking Class Bundle and save big. 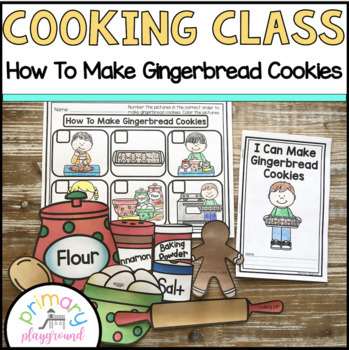 Cooking class is a fun way to incorporate many different learning standards. In this pack, the students are learning writing, sequencing, retelling, life skills and much more. It’s a great hands on activity to get the students excited to learn. 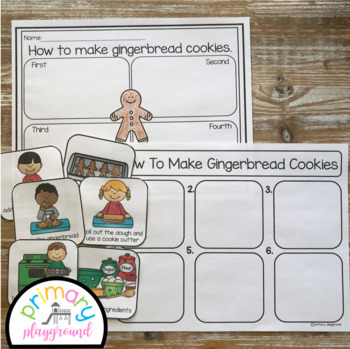 A sequencing page for the students to number the steps of making gingerbread cookies. Cut and paste sequencing page. Larger sequencing cards in color that can be used on an anchor chart. 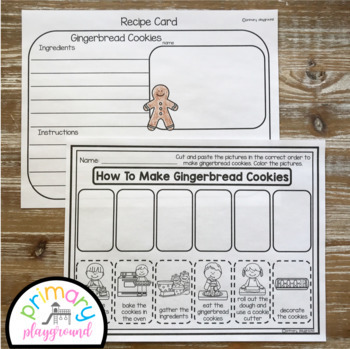 Ingredient pieces to be printed on card stock and laminated for the kids to make the gingerbread cookies. 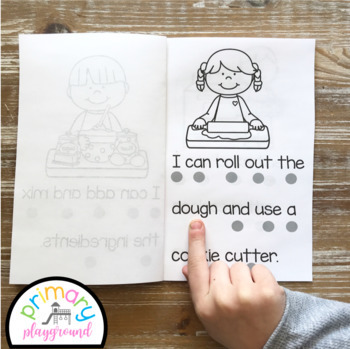 Get TPT credit to use on future purchases! * Please go to your My Purchases page (you may need to login). Beside each purchase you'll see a Provide Feedback button. Simply click it and you will be taken to a page where you can give a quick rating and leave a short comment for the product. Each time you give feedback, TPT gives you feedback credits that you can use to lower the cost of your future purchases. I value your feedback greatly as it helps me determine which products are most valuable for your classroom so I can create more for you! © 2018 Primary Playground. All rights reserved by author. These materials are intended for personal use by a single classroom only. Copying for more than one teacher, classroom, department, school, or school system is prohibited. For use in multiple classrooms, please purchase additional licenses. This product may not be distributed or displayed digitally for public view. Failure to comply is a copyright infringement and a violation of the Digital Millennium Copyright Act (DMCA). Clipart and elements found in this PDF are copyrighted and cannot be extracted and used outside of this file without permission or license. See product file for clip art and font credits.